Delhi, 22nd December, 2016: Taking forward the commitment to widen distribution footprint and business presence in India, PNB Housing Finance has inaugurated its 9th branch in Delhi NCR today. The move is in line with the company’s focus to tap high-potential cities and to garner a larger pie of the business from these locations fueling its business growth. 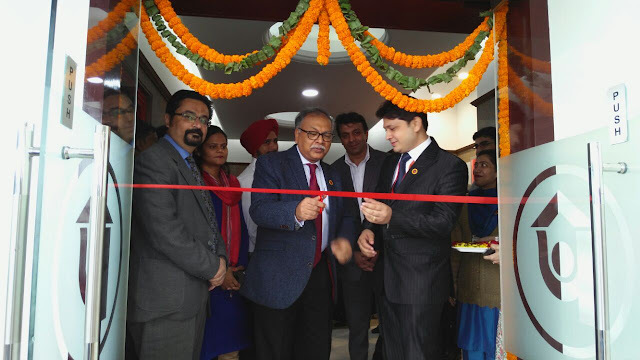 The 9th branch in Delhi NCR has been inaugurated in Pitampura, located on 5th Floor, HB Twin Tower – 1, Plot No. A-2,3,4, Netaji Subhash Place. The office was inaugurated by Mr. Sanjaya Gupta, Managing Director, PNB Housing Finance Limited. With the inauguration of Pitampura branch, PNB Housing Finance has a total of 58 branches located across 40 unique towns and cities. In the current fiscal, the company plans to open total of 18 new branches across India. PNB Housing Finance Limited (NSE: PNBHOUSING, BSE: 540173) is promoted by Punjab National Bank and is a registered Housing Finance Company with the National Housing Bank (NHB). The Company offers housing loans and fixed deposits to customers. In housing loans segment, the Company offers loans for construction, purchase, repair and expansion of houses to individuals and corporate bodies. It also provides loans for commercial space, loan against property and loan for purchase of residential plots. PNB Housing has a strong nationwide presence with hubs and branches at various prominent locations.